Smart homes and smart assistants are becoming more common everywhere. And a tech-enabled home allows us to have control of our environment with the touch of a button. One benefit of a smart home is that it provides the opportunity to age in place. 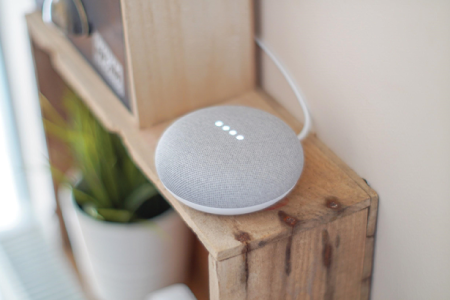 There are numerous ways we can use home automation to assist us with various things that may become difficult as we age, but that also may save us money in the long term. In fact, if you ever do decide to sell your home, many of these options may offer excellent return on investment. There are ways you can add smart elements to your home to not only save money, but to also live a greener lifestyle. Consider adding energy efficient smart lighting controls or power controllers. These can help us by turning off appliances and electronics to save energy. Such controls also provide surge protection; by detecting when an electronic device has been shut down, and cuts out power completely. Automated lighting controls can help further cut down on energy bills by sensing when a room is empty. These systems will then shut off any lights that have been left on. Many smart systems have ways of monitoring your energy consumption, and can provide detailed accounts of usage. You can then determine where you need to trim, or what has been using the most power, and decide how to conserve energy. Maintaining a comfortable atmosphere in our homes uses a substantial amount of energy. You can save energy by adjusting your thermostat, but what if you forget to adjust the thermometer before you leave home? That’s where one of the benefits of having a smart climate system comes in. These systems can sense that rooms are empty, and adjust accordingly, which helps you save money and energy. It can also help by understanding which rooms are frequently used, and which go empty. It can then adjust your settings, room by room, accordingly. When opting to install smart home systems, you will need to shut off the electricity and pay attention to wiring. If you’re not savvy in this area, hiring an electrician to help with installation will be essential. What’s more, trained technicians can do this fairly quickly. Fortunately, it isn’t expensive. In Rockville, Maryland, the average cost to hire an electrician runs between $171 and $506 depending on the project. Installing automation into our homes goes beyond the house itself. It can even extend to our gardens and lawns. As we age, it often becomes increasingly difficult to perform laborious tasks, like keeping up with lawn maintenance. Having a smart irrigation system can sense not only the optimal time to water, but also how much water the landscaping needs precisely. It detects weather and even humidity levels, and can adjust accordingly. Non-automated systems are programmed to spray your green space at the same time every day, with the same amount, no matter what. This can lead to over and under watering of plants, as well as watering at poor times of day. Smart tech can ensure your garden is not watered when hot temperatures could lead to evaporation, or when the cold might result in molding. Installing smart systems into our homes can actually make our lives a little easier, particularly as we age. Many of us experience memory lapses as we grow older, which can lead to relatively harmless things like forgetting to turn the thermostat off when we leave the home for a vacation, to more dangerous situations, like leaving the stove on when we are no longer cooking. Smart homes can not only be adjusted remotely, but can sense when appliances are on that should not be, and shut them down. Smart home devices can also do things like remind you to take medication, to go to appointments, and much more for one’s medical well-being. It can even connect us to our families via the internet and our mobile devices. Adding smart automation to our homes can be a worthwhile investment. It saves money, energy, water, and helps the planet. Not only that, it can offer a high return on investment when it’s time to sell. Most of all, smart homes give more aging adults, the opportunity to live independently for longer.